If there’s one type of pedal that many guitar players are unsure how to use, it’s the compression pedal. This type of pedal is usually associated with snappy country licks, chicken picking, funk rhythms and clean, sustained leads. Although most guitar players might not use these sounds very often, it doesn’t mean that they can’t benefit from a compressor pedal. In fact, producing unique sound effects isn’t the main purpose of compression guitar pedals. As the name suggests, these pedals compress the dynamic range of the guitar – making softer parts louder, and louder parts softer. As a result, the player can deliver a smoother sound with a consistent overall loudness and free of any distracting spikes or lows. With that being said, depending on your aim, there are a few ways you can use a compressor. Some players prefer to have their compression guitar pedals on all the time in order to have a greater control over the tone. This way, even if you aren’t able to stay consistent with your pick strikes, the compressor can even out the dynamics for you. Because of this, keeping the compressor on is usually recommended when playing tight, highly rhythmic funk. If you want to try using the compressor this way, start with a low level of compression and turn it up gradually to discover which level works best for you. Turning the compressor on when playing clean sounds helps to prevent any high spikes in volume that sound jarring during a live performance. A live guitar playing a compressed clean tone can fit better with the rest of the band. For a perfectly clean tone, a high compression will help you achieve it. On the other hand, if you want some smoothness in your clean tone, a more subtle compression will work better. Whenever you switch from a clean tone to a drive sound, you can turn the compressor off as the drive can somewhat compress the sound on its own. 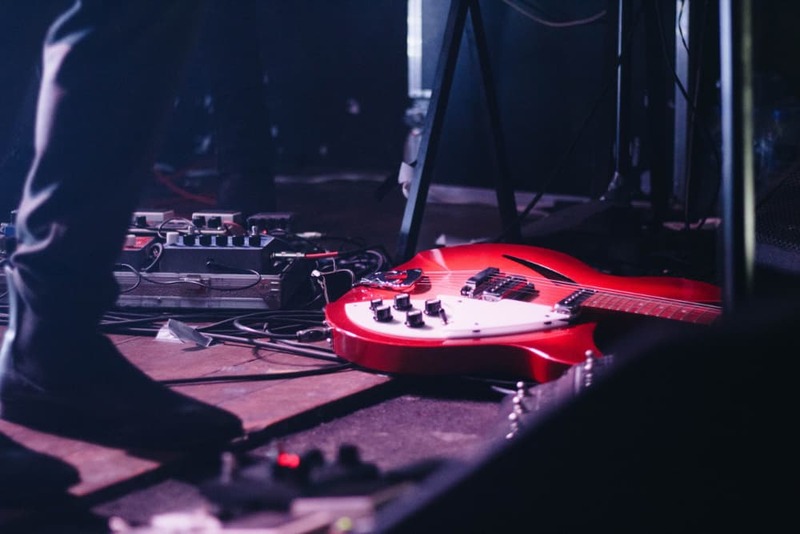 Compression guitar pedals aren’t able to produce dramatic effects like some pedals do, however, they can still give your sound some variety. The idea is to use the compressor whenever you want to give your tone more sustain or thicken it up. This effect is best used for transitions, like for instance when you go into a harmony section with another guitarist, when you want to switch from a driven rhythm tone to a driven lead tone, or when you want to change the feel of a clean tone. Feel free to experiment on using the compressor in different times to see how it affects your performance.